My dad was a postman. Growing up as a kid of a postman gives one a unique appreciation for the awesome capabilities of a daily home delivery service that just seems like it has always been there. Through rain, sleet and snow… Lest I spiral off into a tangent, let’s get back to the matter at hand. The post office? No — Valley Limons! Now I don’t know if Valley Limons are actually “a thing,” but they are as real as Khaleesi’s dragons in my home. In short, it’s my dad. He’s got a knack for all things green and animal kingdom. So it is he who impressed upon me the wonders of the not so elusive, but nevertheless hard-to-find Valley Limon: a unique hybrid of lemons and limes cultivated in the melting pot that is South Texas. Then, he spoke of the contraband seedling he hauled all the way from the Valley up to San Antonio and planted in his own yard. Fugitive Valley Limon. Double cool! Now, we can behold the Valley Limon in all its delicious glory. What makes it so special? 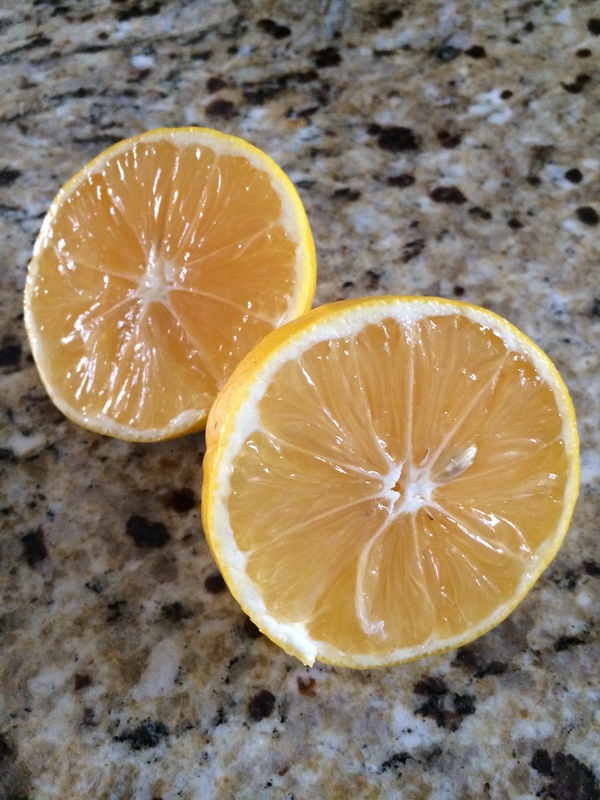 The rind is thinner than the typical thick-skinned lemon and inside, the Valley limon’s yellow fibrous meat is both plump and dense, offering a juice and taste experience more akin to an orange than a lemon. It’s a Valley Limon! It’s quite the bounty. My foodie imagination has gone wild with the possibilities. I’ll keep you posted with what’s to come! 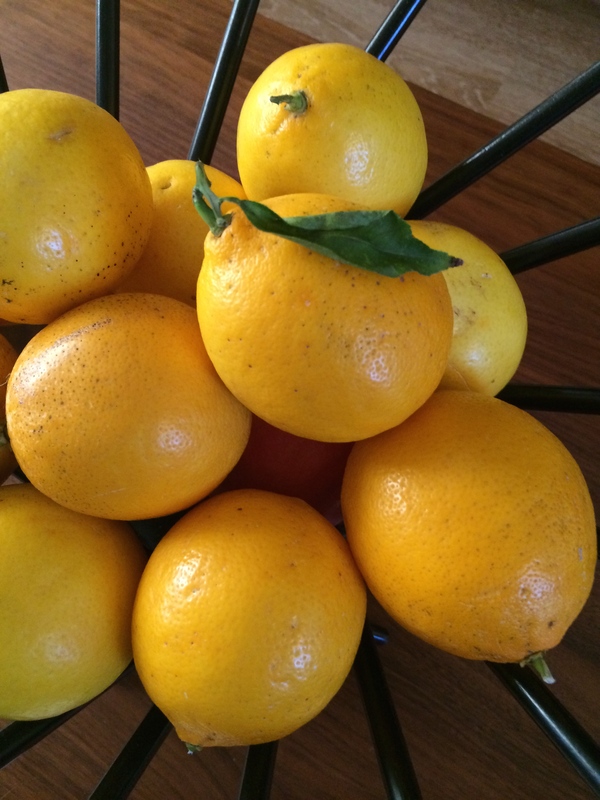 What are your favorite lemon recipes?